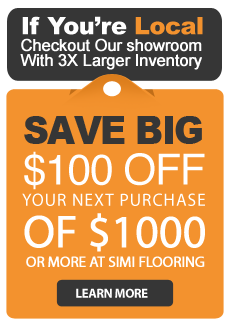 Flooring 101 Simi Valley : Do I Need to Oil my Hardwood Floors ? Few flooring options can compare with the style, beauty and versatility of hardwood floors, but like any flooring, hardwood needs to be protected. While there are a wide variety of stains, waxes and sealants that claim to do a great job of protecting hardwood, none will do a better job than oil. Unlike top coating systems, such as wax and urethane, oils penetrate deep into the hardwood, essentially becoming a part of it. This enables the hardwood to harden and provides considerable protection against scratches and gouges as well as general wear and tear. While wax and urethane systems will look great when they are first applied, they will quickly lose their appeal as they become scratched and worn. Protecting your hardwood with oil, on the other hand, will mean it only looks better with age. Oil will also draw out the natural depth and beauty of those unique grains and colors, whereas top coating systems essentially seal in those boards by placing a barrier between you and your floors. Protecting your hardwood with oil will mean it is easier to take care of spot fixes when they inevitably arise and those repaired sections will blend in seamlessly. Top coating systems such as wax and urethane are far less forgiving, as damage to even a small section will mean that the entire floor needs to be refinished. You will need to re­apply oil to your hardwood floors every 3­5 years, but by doing so you will never need to sand and refinish the entire floor. While other protective coatings may require less maintenance in the short term, they will rarely last more than 10­12 years before they need to be completely redone. The right kind of oil for your floors will depend mostly on the type of hardwood it is. Be sure to get professional advice and follow directions to the letter. Oiling hardwood floors is a traditional process that has been used for hundreds of years because it works extremely well. If you want to maximize the looks, feel and function of your hardwood flooring, protect it with oil.